Sony’s new 4K processor was unveiled at the 2015 IBC in Amsterdam. A completely new frame features up to 5 M/E banks in 4K resolution, with both IP and conventional SDI inputs and outputs. Frame memory size is increased to 5000 images in HD, with a new high-speed SSD drive integrated for backup and restore. 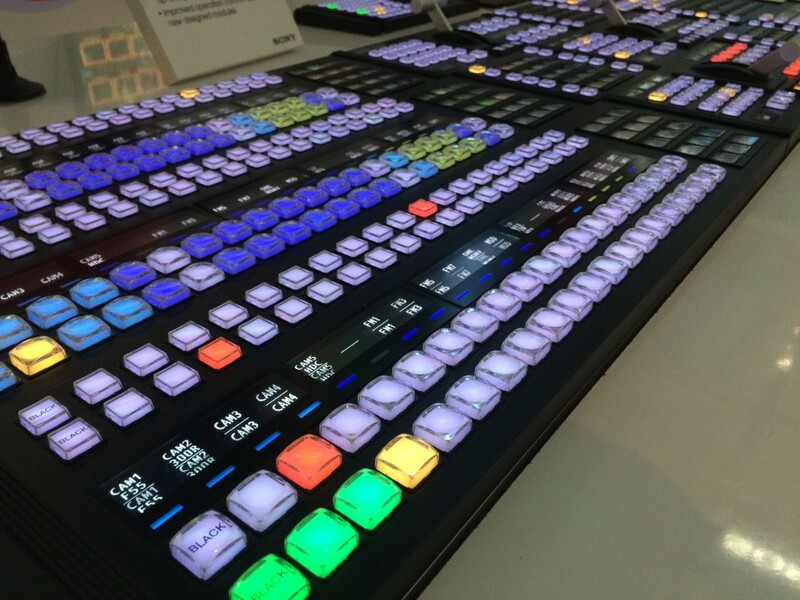 Sony showed the IP connectivity from camera to switcher working flawlessly at the show. 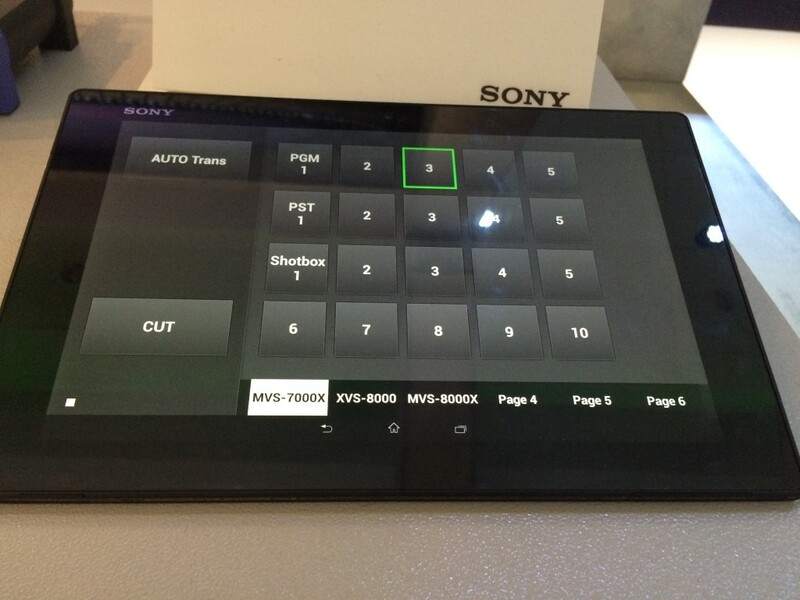 The XVS-8000 will ship in early 2016. The new processor is controlled by the ICP-X7000 panel which was first shown last year. It’s a modular layout, familiar to existing users but with many more configurable buttons and bigger name display areas. It can be configured flexibly with anything from 1 row to 14 rows, and it looked really good on the stand, very contemporary but cleanly styled and not over-blingy. Actually, for me the most interesting panel idea was this unassuming tablet, on which there was a Virtual Shotbox. It’s a prototype, but the plan is to have a web-based interface that will let you program your own shotbox and carry it around on a tablet. Multiple devices will be supported by each switcher, connected by wi-fi. It’s expected to be available in summer 2016, initially for the ICP-X7000 panel. I hope Sony will extend it to the MVS-3000A and MVS-6530 range as well, because it’s a great low-cost solution for cutting iso camera feeds or in-vision monitors. I can also see the presenter using this app on their smartphone to control studio displays. All content © Wink Hackman 2019.